Pick up everything from the floor as your immediate start to making a good first impression. Put shoes on the shoe wrack or inside the shoe cabinet. Remove excess shoes and put out of season shoes away. Place jackets on a hanger or hang them on the coat stand. Remove jackets worn infrequently. Use hooks to simply hang jackets, handbags, umbrellas and so on. Hang up towels or even better, bring out new towels. Put old and used towel in the laundry basket or directly in the laundry room. Light a candle or some incense sticks. Ensure there’s enough toilet paper for your guests. Throw out old shower gels and other empty bottles. Remove all toiletries not used on a daily basis. Put them in a shower box, container or other baskets and place it underneath the sink for easy access. Clean the mirror and remove water splashes. Fluff up cushions and place them neatly on the couch and chairs. 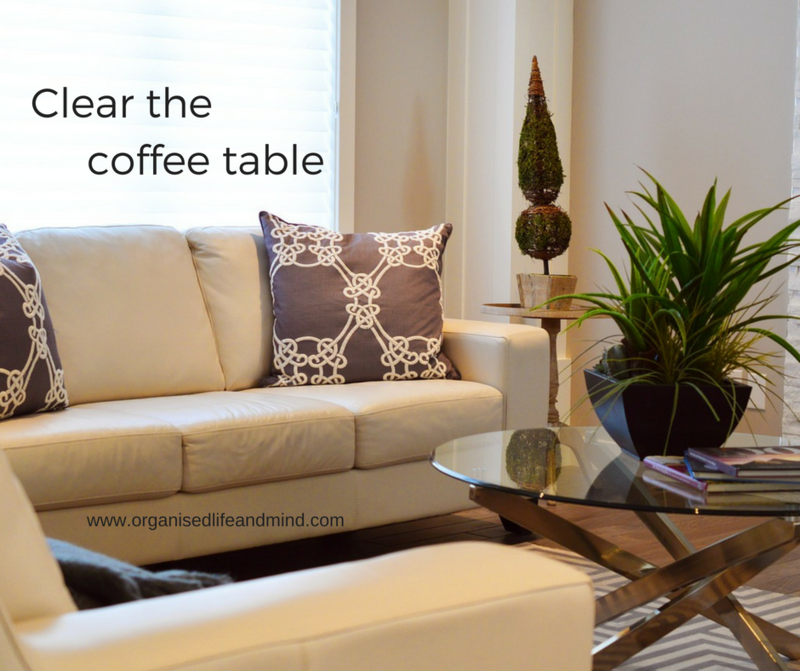 Clean the coffee table. Remove old glasses. Can’t decide which magazines to quickly throw out? Align them on a tidy and elegant pile. Place remote controls and game equipment near the TV. Put used dishes in the dishwasher. Clean anything that’s left in the sink. Wipe the sink once you’re done. Clean the counter tops. Put groceries in the cupboards. Put bulky and not used appliances (e.g. your bread maker) inside the cupboards or the pantry. Hang up new kitchen towels. Pick up the toys from the floor. Put them in their boxes, baskets or bags where they belong. Collect all the trash, e.g. candy wrappers, ripped up drawings, and throw it out. Put your kids’ clothes away. Involve your kids in a “Who can collect the most” speed game. Set a timer for 5 or 10 minutes and race against each others. Who picked up most toys from the floor? Make your bed. You’ve heard it gazillion times. Now do it! Put dirty clothes in the laundry baskets. Put fresh clothes in the closet. Fold, hang, roll them, however, it suits you. Remove the 19 books laying at your bedside table, not touched once in the last 5 months. 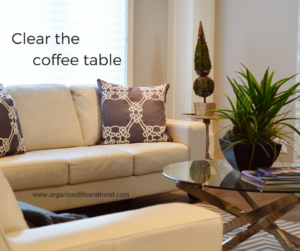 Keep the things on your beside table to a minimum. If you’re short on time, focus on what’s on the floor first. A tidy floor makes a much better impression, even if the rest of the room is still a bit messy. What’s your top tip for a quick tidy up? I personally love to work with the timer on my phone. I love getting as much done as possible during these short challenges. Setting a time is also a great way to get younger children hyped about helping you. 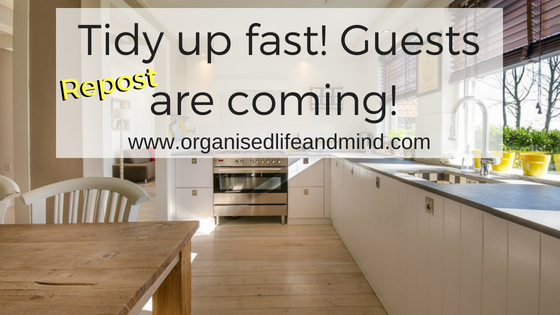 Looking forward to hearing about your tidying up games!